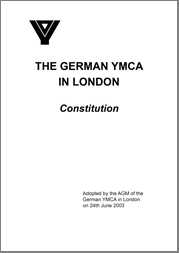 The German YMCA in London (Young Men's Christian Association) was founded in 1860. 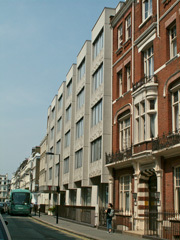 It is one of the oldest YMCAs in London and a member of YMCA England. As a Christian movement we stand for respect and freedom for all, tolerance and understanding between people of different opinion, religion and ethnic background. In several practical ways we serve the needs of the community. We welcome people of different Christian traditions, other religious faiths and of none. We provide cultural and leisure-time activities, as well as advice, support and help for German-speaking people, their international friends, and the local community. We also run an au pair service and a parent-toddler group. Members support the Association and pay an annual membership fee of £10. All events are published in a printed bimonthly programme and here in these pages. Our "Lancaster Hall Hotel" has 100 bedrooms and lecture, seminar and conference facilities. Activities for families after school, meeting twice a month on Thursdays. Every Thursday evening, featuring a variety of events. Au pair placement service for London families in partnership with the German charitable organisation IN VIA and the VIJ. Visits to older people in their homes; Holy Communion is offered on request. Contact: Udo Bauer. Held during term-time on Mondays and Tuesdays. Day-time activities for senior citizens, twice a month on Tuesday afternoons. To support other charities and international aid organisations; our main fundraising event is the German Christmas Market with traditional German foods, drinks and handicrafts. For young people who are living, studying and/or working in London. Peter's Music on Wednesday afternoons and concerts of the Schubert Society of Britain; Schubertiade concerts provide young artists with the chance to perform in London. Musical Theatre Group "Stars & Nightingales"
For local children aged 8 to 14 years, with singing and dance / theatre routines based on popular musicals and stories. Get-together for German au pairs and their international friends on Thursday mornings. Conversations by phone for German-speakers. 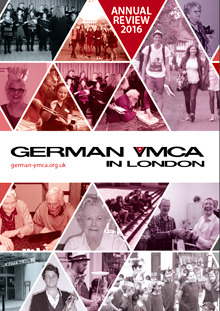 Placing young volunteers from Germany into Community Projects in Britain and vice versa. We also arrange trips and sightseeing tours in and around London and coach tours to places of special interest around the country.